Ok moms, put this recipe in your back pocket for this holiday season to make with your kids... and then devour with your kids. Cooking and baking with kids is fun... and poses some challenges. One of those challenges is having to wait for it to be ready. Another challenge is that kids want to do it their way... not our way or the way that the recipe asks. Well, guess what?! This recipe allows kids the autonomy to play, taste and then eat with little waiting required. The magic of this recipe was captured by Lindsay Mills Photography for a collaboration with Ruby Thursday Collective. This collaboration was all about bringing fun treats that were uber kid friendly. So we packed 5 kids into my house and got them creating. The end result was amazing. Kids simply love being creative... especially when it comes to food. How did we make this happen? Well, it was simple: get prepped then let them create. For this mini cooking class, I thought it was important to have everything ready because although kids like to see how things are made and should be exposed to how food is created, it's not always important to make it a priority. 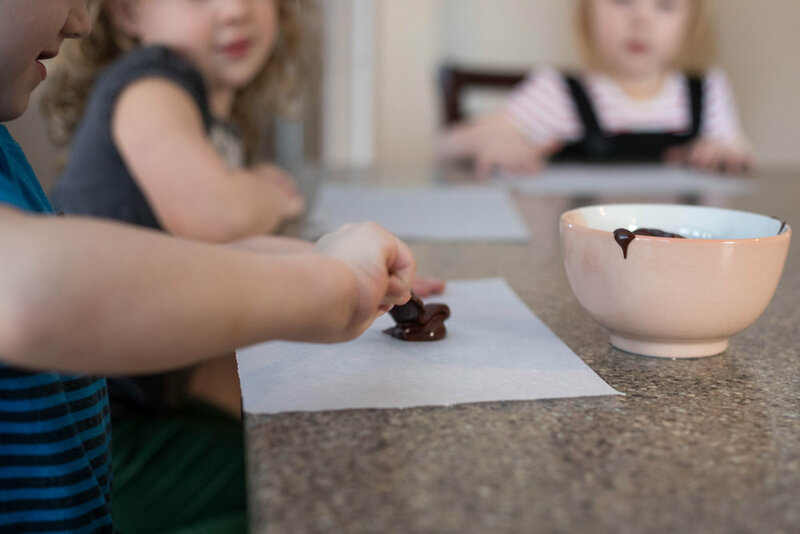 The focus for this recipe (and the other one shared on Ruby Thursday Collective) was about letting them play and explore. And non-alcoholic vanilla extract. Then blend until it's smooth and creamy. Trust me, this is the smoothest chocolate... it's comparable to a truffle. I mean seriously. This chocolate is incredible. Once this smooth creamy chocolate is made, set your toppings and chocolate on the table. Time to create. 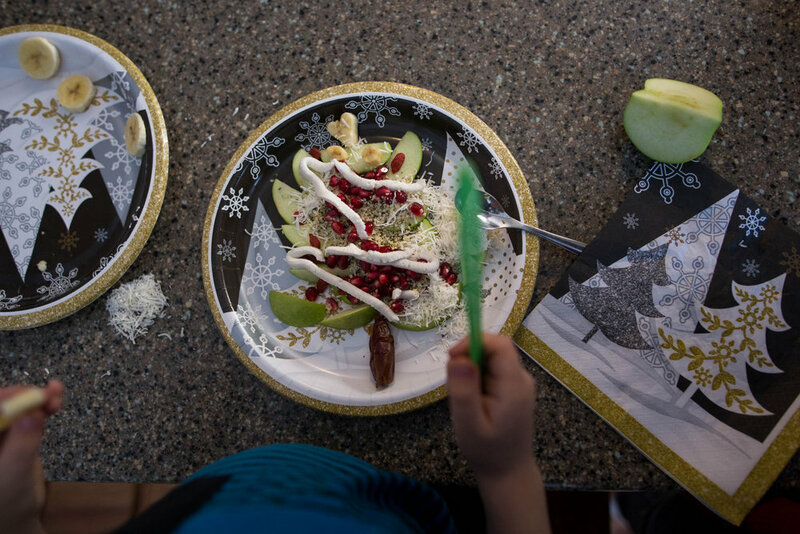 The topping we used were unsweetened shredded coconut and pomegranates. However, the options for toppings are truly endless. I will say this: frozen pomegranate seeds are out of this world in flavour and crunchiness. And paired with chocolate, they are really spectacular. 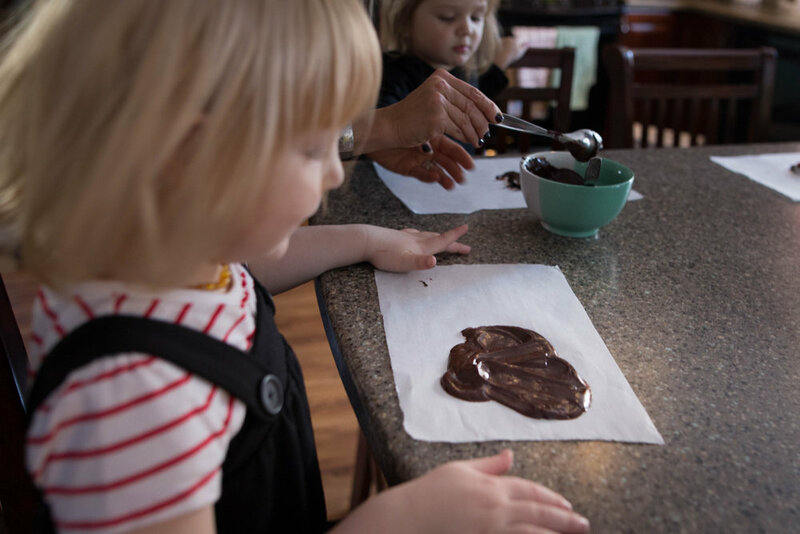 We showed the kids what to do, which was simple: put some chocolate on some parchment paper, add your toppings and then add more chocolate. They were definitely motivated and got straight to work. Except for my son... who had his own plans and is was apparently not motivated by chocolate. But the other kids, just took over and did their own thing. How cute are these kids?! They all did amazing works of art. 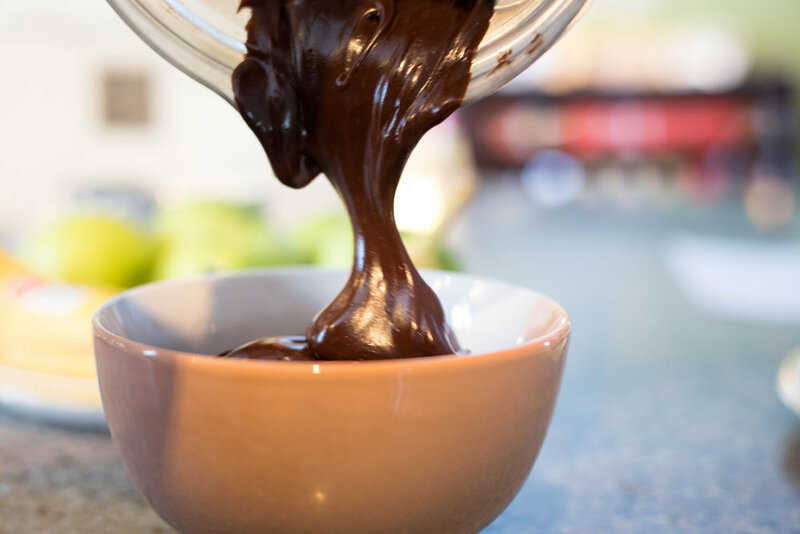 Using a high speed blender or food processor, add all chocolate ingredients and blend until smooth. 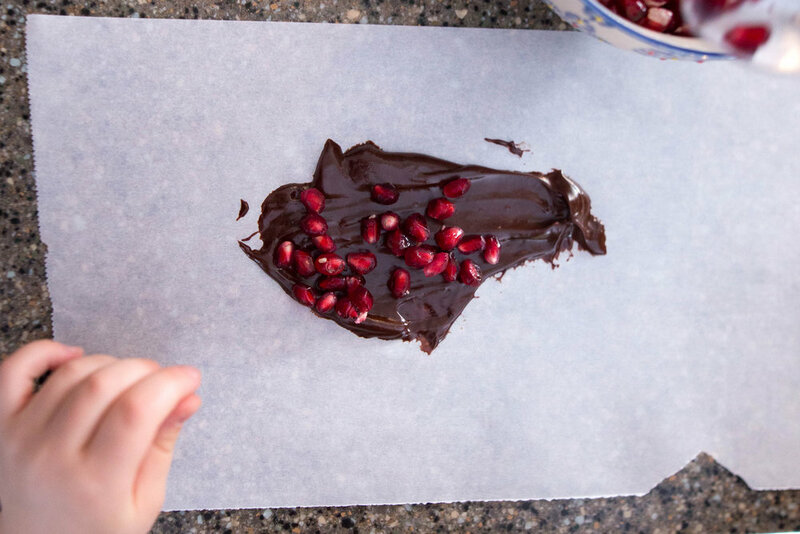 On a piece of parchment paper, smooth out some chocolate. Sprinkle with toppings and then add more chocolate. Place in the freezer for 10-20 minutes. Chocolate will not completely harden like a bark but will become harder, though still having the texture of a truffle. Wishing you and yours a happy, creative and love-filled holiday season!